One of the downsides of the fall of Sterling against the Dollar and the Euro since the Brexit vote has been to destroy much – but not all – of the generous arbitrage that used to be available if you held the American Express International Dollar Card. In the past with Sterling at $1.60, you could use this to get a 60% bonus on your existing UK Membership Rewards balance. This is especially interesting if you have thought about booking a Singapore Airlines redemption (either on Singapore Airlines or a Star Alliance partner such as Lufthansa or SWISS) because it reduces the cost substantially. The fall in the US$ to 1.35 to the £1 means that this option is less exciting than it was as you are now only getting a 35% bonus. There are still reasons for doing it which I will discuss below. Please note this is ‘PhD level’ points collecting. It is unsuitable for anyone with an Amex Membership Rewards balance of under 50,000 points and/or no experience of airline programmes apart from Avios. 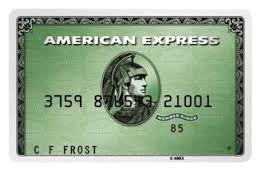 Amex issues from the UK an International Dollar Card. They come in Green, Gold and Platinum. For the purposes of this discussion we are only interested in the Green card which has an annual fee of $100 and an additional $36 annual fee to access Membership Rewards (free in year one). This card bills in US$ and you must pay the bill in US$ by bank transfer. Most UK online banking systems can handle this – I do it via HSBC with no problems. However, once you have the card, you can transfer your UK Membership Rewards balance to your IDC card Membership Rewards account. Your balance is grossed up by the £/$ exchange rate, so currently you get 1.35x your UK balance. 100,000 UK MR points will turn into 135,000 points in your IDC MR account. However, most Membership Rewards products for IDC cardholders are more expensive (see here). Avios transfers are 3:2 instead of 1:1 from the UK scheme. This makes it pointless as you would actually end up worse off. However, a number of airlines – including Singapore Airlines – allow 1:1 transfers, so you are effectively getting a 35% bonus on transferring to them. There are also partners in the IDC Membership Rewards programme who are not in the UK programme. These include Malaysia Airlines, Qatar Airways and Jumeirah Hotels. In order to apply for an IDC card, you must have been an existing American Express cardholder for at least six months. The following airline partners let you transfer 1:1 from the IDC Membership Rewards programme into your airline account. This means (because of the 35% uplift – based on £1=$1.35 – when you move your points from the UK to IDC MR programmes) you effectively get a 35% transfer bonus. You should only consider an IDC American Express card if you are interested in moving your Membership Rewards points to Alitalia, Cathay Pacific, Finnair, Singapore Airlines, Malaysia Airlines, Qatar Airways or Jumeirah Hotels. The first four have attractive 1:1 rates whilst the last three are not UK Amex partners. Singapore Airlines is likely to be the most popular option because Singapore is SUBSTANTIALLY more generous with award seats for its own members than it is for other Star Alliance partners. There is also a generous ‘sweet spot’ using Singapore Airlines miles to fly from the UK to the Middle East as I discussed here. I booked our holiday flights to Dubai this year with Singapore Airlines miles, flying on SWISS via Zurich. London to Dubai is only 50,000 KrisFlyer miles return in Business Class – compared to 120,000 Avios on a peak date – and because of the uplift I got moving my Amex points from the UK to IDC scheme, the net cost was even less. I know one of our regular comment contributors recently used this method to fly to Australia in Business Class via a Singapore Airlines redemption. The good news is that all three major airline alliances are covered, so you can access the bulk of the major global airlines. You would, of course, have to look carefully at each programme before transferring. You could book a BA flight via Finnair, Cathay or Malaysian, for example, but you would need to pick a route for redemption and then see which carrier needs fewest miles. You also need to consider cancellation and change fees and whether one-way awards are possible. As I said, this is definitely not something for beginners. If you know what you’re doing, however, there can be real value to be had. do SQ allow dipping into spouse’s points as long as both parties are flying on the same flight? you know, like how Virgin does. and does Amex allow transfers into spouse’s freq flyer account? I know you cant transfer MR to spouse anymore, but can you transfer to your spouse’s FF programme? Presumably no and – unless their IT is dodgy – no. Good article Rob (as usual). Thanks for this material info. No, no difference to MR.
Would taking out the IDC and leaving it open stop you churning the Gold/Plat UK cards? No. It is a separate MR scheme entirely.